By today’s standard for what’s “cool” in men’s fashion, my uncle Sam (real name: Shamseddin Hosseini) is Karl Lagerfeld. Why? Because he was wearing sandals with socks back when most men were still toying with the idea of wearing flip-flops in public. But first, a disclaimer: The men in my Persian family other than Uncle Sam (or Sammy Dean, as he liked to be called) don’t wear socks with their sandals. Doing so would be like branding their foreheads with the letters F-O-B (fresh off the boat) while wearing a t-shirt that says “I love America,” pronounced “Emrica,” in their best (heavily butchered) American accent. With the rise of normcore, socks paired with the sandals often referred to as “slides” by streetwear brands may now be your go-to, but to the sons and daughters of immigrants you look like their embarrassing cousin who still thinks velcro — whether on shoes or clothes — is cool. Just ask Teresa and Serena Wu (no relation), two former students at the University of San Diego who started a blog that was featured in the New Yorker called “My Dad is a Fob.” One post features an illustration of a man wearing white socks with leather sandals because they know what all first-generation Americans know: socks and sandals aren’t cool. 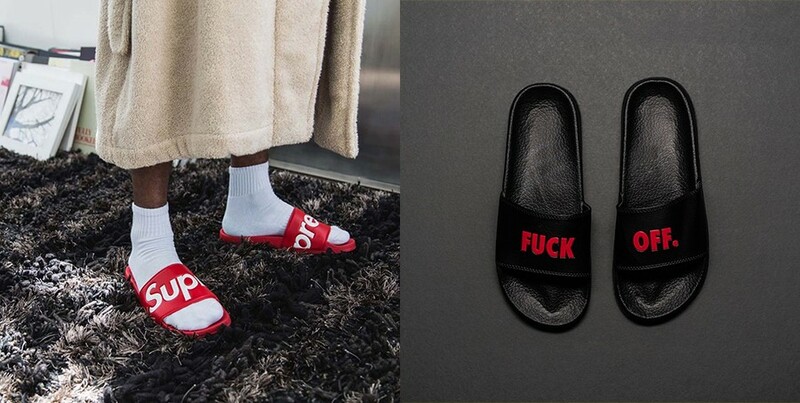 So how did we get here—to a place in time when fashion god David Beckham wears socks with his slides? According to Wikipedia, the earliest evidence of wearing socks and sandals is documented at the archaeological site between Dishforth and Leeming in North Yorkshire, England. 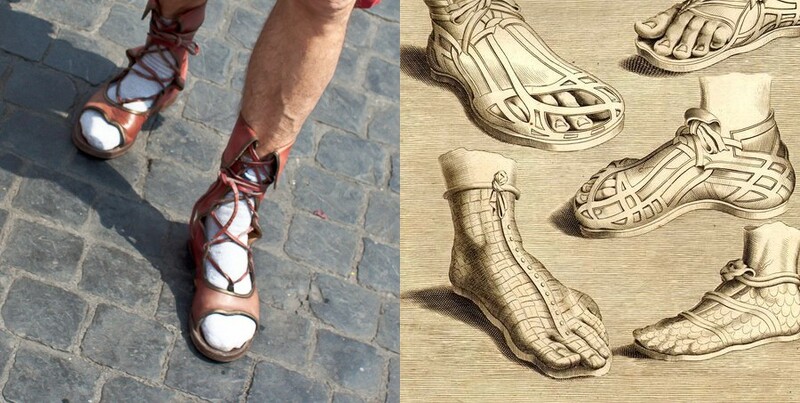 The discovery suggests that old Romans wore socks with sandals, probably to keep their feet warm, at least 2,000 years ago. 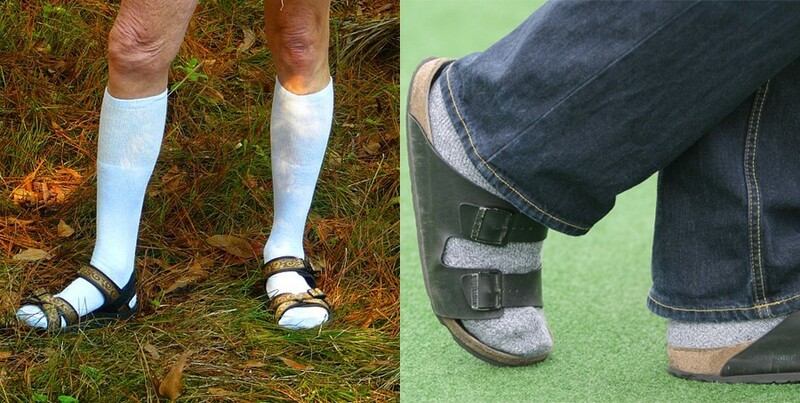 In 2014, Brian Shea of The Evening Sun noted that wearing socks and sandals is popular among the elderly and Germans. But the Czech and the Polish consider the combination rather uncouth, even though, according to a 2015 study conducted, one in 10 Czechs wears socks with sandals on vacation. In the Pacific Northwest, socks and sandals are a regular phenomenon, so much so that Seattle based insurance company PEMCO dreamed up the “Sandals & Socks Guy” character as part of a 2007 advertising campaign. According to The Daily Dot, “sandals and socks” is entered into search engines more often by Washingtonians than by residents of any other state. This makes sense, considering that both my Uncle Sam and a bunch of hippies with no style live in Washington. 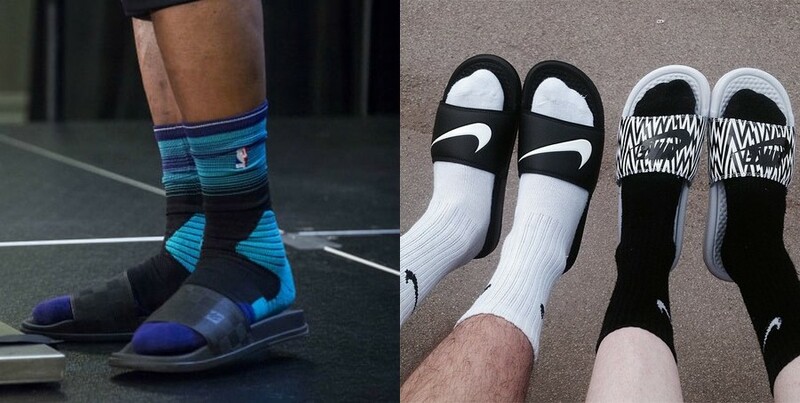 Still, none of this explains why socks and sandals have emerged as the footwear equivalent of fidget spinners for sneakerheads, with fashion houses like Prada and Versace unveiling their own takes on the look. A fair question, but Newton failed to explain the prevalence of what could be considered fashion’s ultimate faux pas. But maybe that’s the point: When it comes to fashion trends, there is no real explanation for why something that was once considered uncool, like dad jeans or wearing white socks with cuffed trousers, is now perfectly hip. 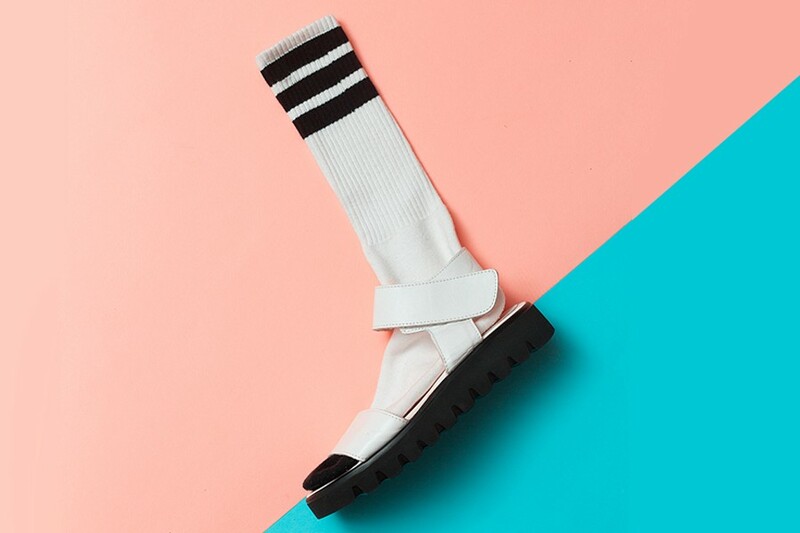 It could be that socks and sandals as a trend arose from the combination of normcore and the desire to feel like an athlete just before game time—without any actual plans to exercise.